Zombie Mommies: Devine Intervention: Thou Shalt Not Wear Spandex in Front of Hundreds of People...unless you happen to be performing at the US Olympic Gymnastic Trials. Devine Intervention: Thou Shalt Not Wear Spandex in Front of Hundreds of People...unless you happen to be performing at the US Olympic Gymnastic Trials. Devine Intervention makes No. 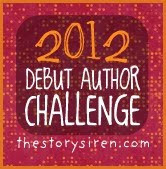 9 in the 2012 Debut Author Challenge, hosted by the Story Siren. 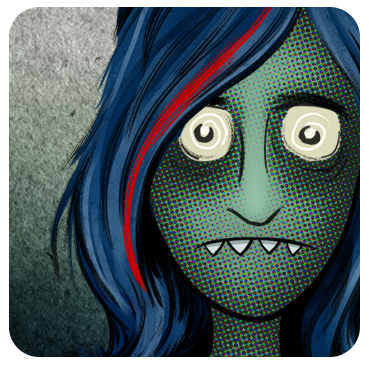 Pricky's Review: Some Spoilers Included. Rated 2.5 Stars on Goodreads. 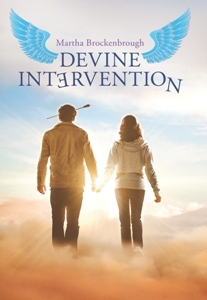 Jerome is your typical teenage boy "misfit" that finds himself on the rehabilitation side of Heaven. And by typical, I really mean, stereotypical: lives on the wrong side of the tracks with his drunk dad, has no future, can't stop thinking about "milk cartons" or short skirts, and acts without consequences--like letting his cousin shoot an apple off his head. Which is how he found himself in Heaven's rehabilitation program in the first place. His last saving grace is to be Heidi's guardian angel. So since her birth, he's pretty much made her believe she hears voices in her head, singing FreeBird. When Jerome finds himself in the Rehabilitation Program, he learns about the "Guardian Angel's Handbook: Soul Rehab Edition" (which he promptly loses), the 9 levels of Hell (Level I: Everlasting Standardized Testing, Level II: Ballroom Dancing with the Elderly, etc...), Morning Therapy Group Sessions, and of course, swearing sensors. While I admire the creative parody behind the story, I found it tiring after awhile. And even with the "swearing sensors" in place, Jerome has a pretty active mouth. The barrage of slang (chevy, motherflasker, apple hole, well...you get the point) was distracting and overwhelming...after reading it for the HUNDREDTH TIME. The plot was also a bit unbelievable: Heidi wears a black-and-white spandex outfit and dances with her best friend, Megan, in front of the entire school in the Talentpalooza. According to BFF Megan, "We have to do this, Heidi, if only to take high school back from the people who rule it....We must defeat them." Now either I'm missing something or Megan's lost a few screws because when was dancing with another girl in front of the entire school EVER going to be a winner? I just can't believe that a teenager would ever think so. So of course, Heidi's upset and ends up taking a walk near a frozen pond. You can imagine what happens. She falls through the ice, and Jerome inadvertently saves her...by detaching her soul from her body, and they now have 48 hours to make things right. I have to say, this is where the story went south for me. With so much emphasis on the comedic aspect of heaven, it became too much. In the end, I did like how Jerome changed and became more confident and responsible. The story is a bit predictable and somewhat confusing towards the end (what was the celestial squirrel nut for?) and I thought the reincarnation was a bit out of left field. And being a romantic, I don't always like stories where the spoiler (boy and girl don't end up together). I admire the creativity behind DI but after that, it didn't really do much for me. So should you read it? Maybe...if you've got a lazy afternoon with nothing to do. Wow the books sounds interesting. Up until you gave it 2.5 stars. And yeah fake swearing is really not that fun to read ALL. THE. TIME. I was so excited to read this book. In my mind it thought it would be in the same vein as The Gate by John Connolly, but it just wasn't all that funny. Which makes me feel terrible because the author sent me a copy after I had asked her a couple questions on goodreads. I don' thave the heart to actually review it or express how I little I liked it. This is the only time I'll say so. Perla...I know! the humor just ended up too "slap-sticky"? Robot, I don't think you will like this one at. all.